Your resume is the first impression to your potential employer. A poorly written resume will hinder your chances of being hired, even if you are qualified for the job. Here are some helpful tips on how to create a great resume. Focus on giving your resume a professional appearance. For instance: colored backgrounds, unusual fonts, and images should be a “no-no”. The goal is for employers to focus on the content of your resume, not the design. 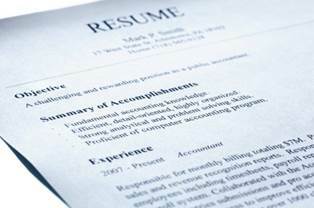 Keep your resume sufficient for the benefit of recruiters who sometimes go through hundreds of resumes per day. Make sure to have your resume in a professional format. This includes its content. Misspelled words and unprofessional email addresses are major turn-offs. Don’t rule yourself out of consideration due to mishaps that could have been easily avoided. This should summarize your goal in seeking the position you’re applying for. The objective should be created first as this is the thesis of your resume. Keep the objective to no more than three sentences. Resist the urge to bend facts and embellish your accomplishments. If you don’t have actual employment experience related to a position that you are applying for, list volunteer work. Also, if you don’t have a degree to add to the resume but you are in the process of obtaining one, list the planned date of completion. Remember that your resume is the first impression to your prospective employer. Keeping your resume simple, professional and honest will enhance your chances of getting that interview.